Failing to Report Corporate Financial Ties in Research: How Serious is It? A prominent cancer researcher failed to report conflicts of interest, receiving millions of dollars of payments from drug and health care companies, recently reported by The New York Times and ProPublica. Soon after, the scientist resigned. Associate Vice President for Research Integrity at the University of Utah, Jeffrey Botkin, M.D., discusses why the issue is problematic for research and researchers. Read more in Botkin’s Viewpoint published in JAMA. What is the definition of “conflict of interest,” and how can it impact research? A conflict of interest is “a situation in which a person is in a position to derive personal benefit from actions or decisions made in their official capacity.” It is not uncommon for researchers to receive financial compensation for acting on the board of directors or as founder of a startup company, for instance, but a conflict emerges if they are also conducting research with that company’s product. Institutions such as the University of Utah requires that investigators fully disclose their external financial interests and work with the institution to address any conflicts identified. 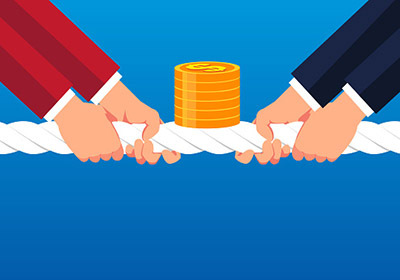 Granting agencies, research journals, and professional societies also specify that authors list financial relationships that could pose a conflict. These guidelines are in place because investigators who have financial interest in the outcomes of their research risk losing the objectivity that is so important when trying to answer questions about the safety and efficacy of drugs, devices and products. What are the current regulations around conflicts of interest? Reporting relies on an honor system to a large degree. This approach can be ineffective if investigators fail to follow through. Part of the problem with the current system is there are no solid guidelines to deal with faculty who have failed to carry out these steps. At the present time, there isn’t always a consequence for noncompliance. At the federal and institutional levels, research misconduct is defined as falsification, fabrication, or plagiarism of results. While there are penalties for research misconduct, right now, failing to disclose financial ties is not considered research misconduct. And yet, conflicts of interest can affect research. They can impact how research is done, how consent is performed with participants, and how data is reported. Why do some faculty resist disclosing conflicts of interest? People feel it’s a threat to their integrity. Investigators have a high level of confidence in their own objectivity. There is a certain sense that being asked these questions implies they may not be objective. They believe they can do good science despite existence of a conflict of interest. How could the conflict of interest issues be handled differently? Failing to disclose significant financial interests should be evaluated as potential research misconduct. That would give the issue more weight than it currently has. There also needs to be standards for how the process works at federal and institutional levels. There should be a systematic review system for inquiry and investigation, and standards in place to guide how guilt is determined. Was the oversight deliberate or a product of reckless behavior? Clear guidelines should indicate whether serious oversight should be considered misconduct or not. For significant and clear cases of misconduct, consequences can be severe: a faculty member can lose their position or a graduate student is denied their degree. Without a strong policy and consequences, there could be a temptation for problems to persist. What do you want researchers to take away from this conversation? Conflicts of interest are a significant concern for the institution, those who rely on the objectivity of research, and for the general public. Public support for research depends on trust that researchers are not motivated by personal financial interests as they evaluate the safety and efficacy of drugs, devices and products. Our system to address conflicts is evolving and this proposal to consider serious non-disclosures as potential research misconduct should strengthen our ability to manage these important concerns. Visit the University of Utah Vice President for Research website to learn more about conflict of interest policies.